Pick our brains! Know as much as there is to know about the family. The first thing to do is prepare any questions you might want to ask, there is no harm in writing them down and having them with at the interview. What do the children enjoy doing? What is your strategy on discipline? Do the children have friends in the area? Do they have any allergies? What groups to your children already attend? What would you wish your previous nanny to have done differently? What is your approach to treats? How do you feel about other children coming to your home? Do you have a routine that you wish me to adopt? Have you had a nanny or au pair before, why did they leave? The family to provide more details of the job, including verifying the hours, duties, babysitting requirements, rules etc. They will typically explain the children's routine, (school runs, after school activities, food likes and dislikes, clubs to attend etc). To hear from you your views on childcare, past experiences, likes and dislikes. Remember never negatively portray an ex employer, we have all had them! Try to project your experiences in a professional manner. You will have the chance to ask questions - feel free to weave yours in at the moment that feels right for you. You will be asked questions by the family - think before you respond and don't waffle. If you are unsure about the question, ask them to explain what they mean. Show enthusiasm, energy and above all - enjoy your self . · How would you describe your Personality? · Why do you want to come to Australia as au pair? · How would you characterize your strengths? · How would your characterize your weaknesses? · What kind of children do you find it most difficult to work with? Why? · What types of things frustrate or upset you the most? · How do you resolve conflict? · In your previous experience with children What were some of the difficult challenges that you had to over come? · Tell me a little about what it is like to live with you? · How many children are you capable of caring for at the same time? 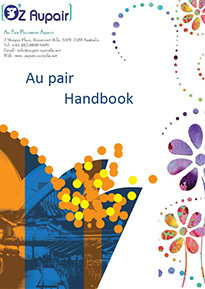 · In your opinion what qualities make a good au pair? · What activities do you like doing with children? (Is she/he creative and/or resourceful? · An example of the routine on a wet day? · Do you enjoy cooking? What are your views on nutrition? · How would you discipline poor behaviour? · Give an example of an emergency situation and ask how the she would respond. · Are you willing to work additional hours, baby-sitting evenings and weekends?